Join us for another Margarita/Dollar Dog Monday featuring $2 margaritas and dollar hot dogs! It's also Military Monday, which means fans with military IDs get in FREE! 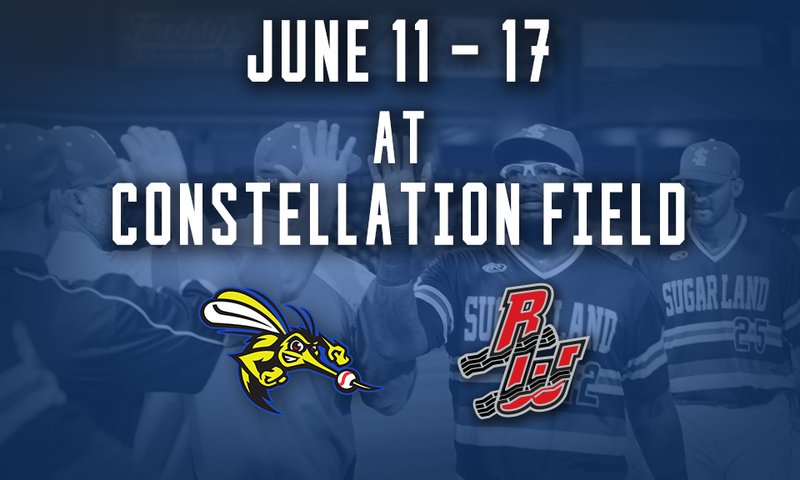 Enjoy another Two for Tuesday at Constellation Field featuring buy-one-get-one field box tickets and half-priced groups! Super Splash Day is back at the ballpark! Enjoy a Skeeters day game while getting sprayed down with hoses and joining in on water balloon fights and other water activities! Join us for Thirsty Thursday at Constellation Field featuring $2 beer and sodas! It's also Teacher Appreciation Night--fans with teacher IDs get two free tickets and $11 tickets for the rest of their group! Stop by the TDECU Ticket Office at the ballpark to get your discount today! Head out to Constellation Field for Jurassic Park Night and stay another great post game fireworks show! Get to the ballpark early for our Stadium Replica giveaway courtesy of Constellation for the first 2,000 fans! Spend your Father's Day at the ballpark and enjoy Sunday Funday featuring pregame catch on the field, player autographs, and post game Kids Run the Bases courtesy of Dr. Larry Caldwell! For more information, call us at 281-240-4487.